With a little time on the internet, you can find the answer to just about any question you have. And if your question is “What are some color palette options for my wedding” – then the Brides.com Color Studio is the tool for you. This fun spinner makes it easy to find color palette choices. You can spin from all colors, or start with a color family. You can even refine your search to include similar hues, contrasting hues, or neutral undertones. In a few quick spins, I found these options…all of which I liked. This tool is perfect if you know you like one color, but are unsure what might compliment it best. (It is also perfect if you are bored at your desk and want to daydream about your wedding for a while). But be warned, the spinning can be a little bit addictive. I love this tool. I ran a few spins and my favorite came up as Robins egg, Lilac, and Pearl. 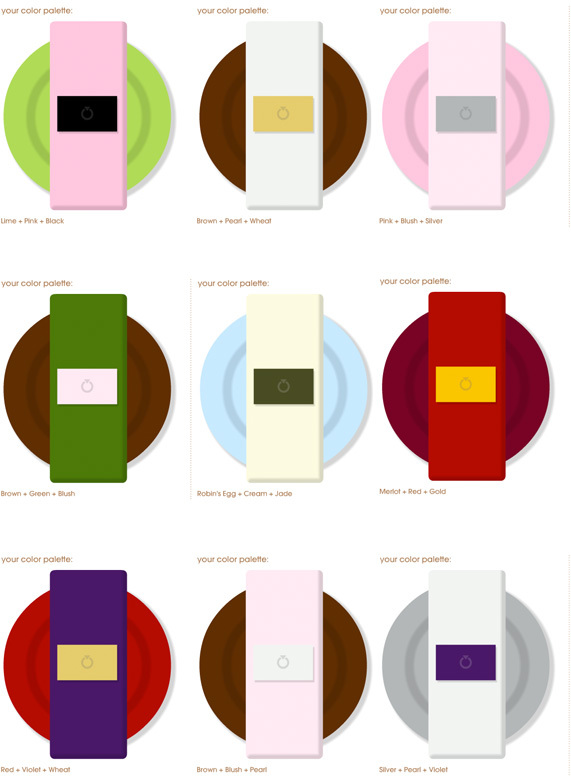 What a great tool to give you ideas and inspirations for color palettes.